AMARA PEREZ FOR SIGNING A SCHOLARSHIP WITH THE HOWARD COLLEGE CHEER PROGRAM! 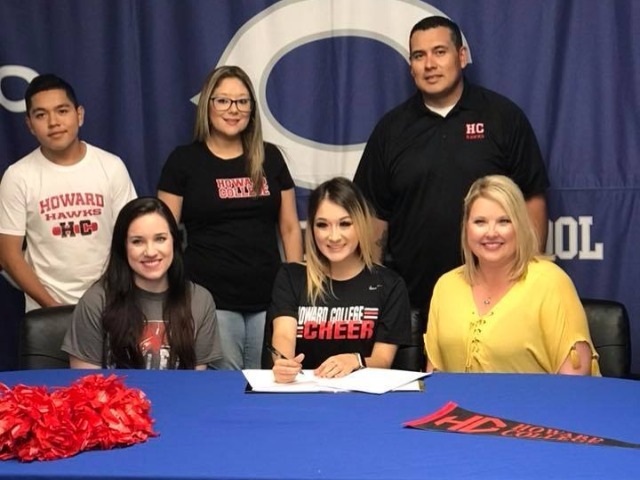 Congratulations to Amara Perez for signing a scholarship with the Howard College Cheer Program! CHS wishes you the best!